"I believe the definition of a home, be it ever so humble, is more than just a place. It is also an idea - one where the heart is." Jason Isley is a visionary real estate professional that has had lots of repeated success in residential real estate. As a resident of Orange County for over 46 years, Jason's sales have exceeded over 75 million dollars in his 15-year career as an agent. 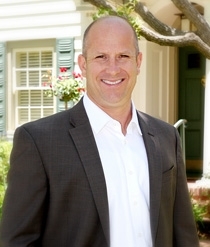 Having grown up in the heart of the Historic Floral Park neighborhood of Santa Ana, he has an in-depth knowledge and a keen sense of market trends and values throughout all of the communities he serves. With a strong emphasis on historic, architecturally unique and exclusive hillside properties stretching from North Tustin all the way to the upper crust neighborhoods of Orange County's coastal regions and waterfront properties. Jason believes in only the highest, personalized customer service for all his clients and loves working with people. I have been conducting business in the heart of Orange County for the past 15 years and have the global spectrum covered so that buyers from all over the world can find my listings alongside everyone else's on the top websites including Realtor.com, Trulia, Zillow and many others. However, it is my affiliation with Seven Gables Real Estate & Luxury Portfolio International, the luxury face of leading real estate companies of the world, which makes my position even stronger.